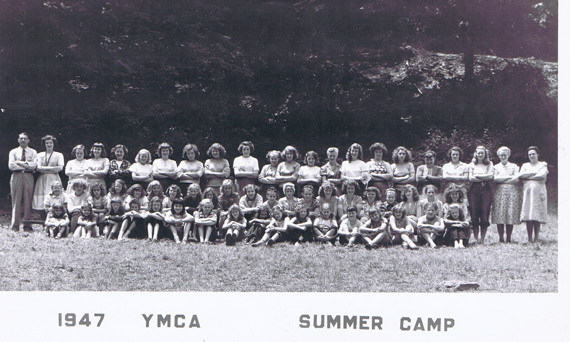 For many years, the East Liverpool YMCA operated a marvelous camp on the shores of the Beaver Creek, a few miles south of Lisbon. 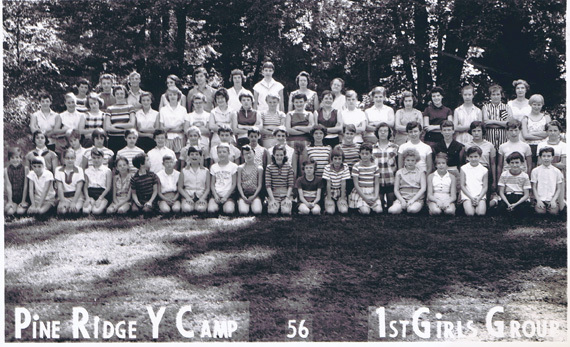 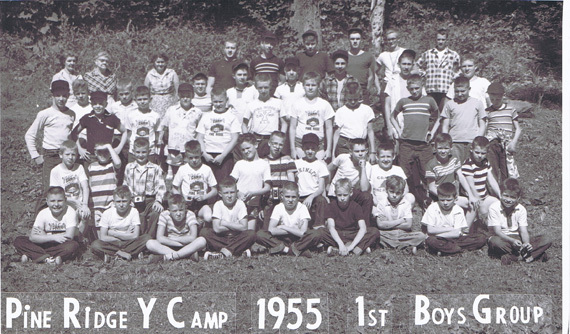 Very few young people missed the "Y Camp" experience while growing up in the East Liverpool area from its beginning in 1923 until the camp closed in 1974. 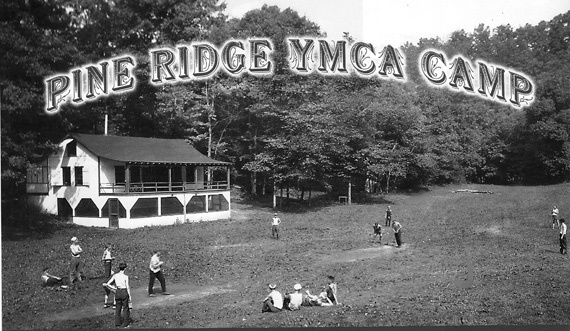 Wonderful memories -- from the marathon race developed by long-time YMCA Director Carl "Pop" Werner to the campfire singing of "Pine Ridge Will Shine Tonight." 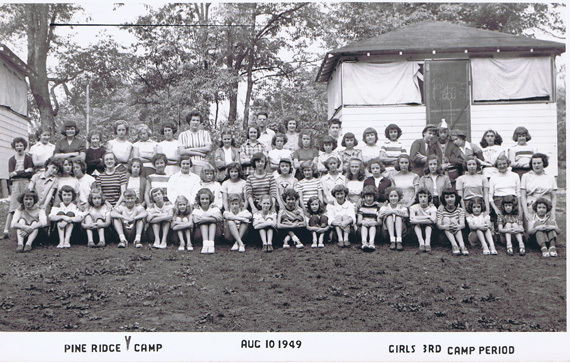 remain vivid for many. 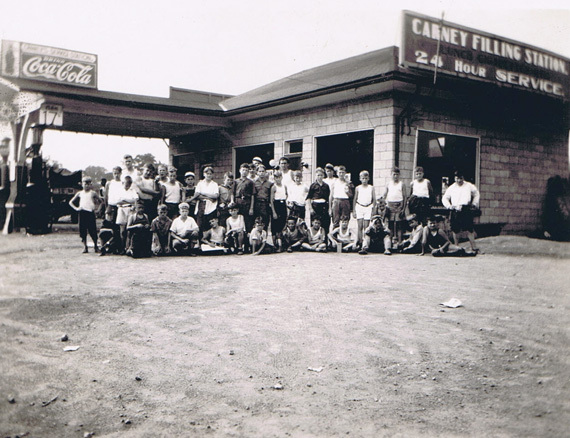 Picture from Frank Dawson's book "Picking Elderberries". 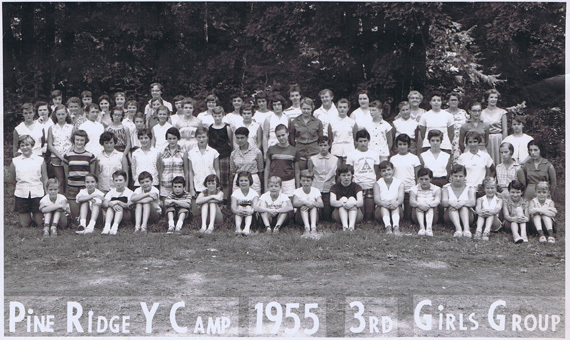 The following group of pictures all come from the Frank Dawson's collection unless otherwise stated. 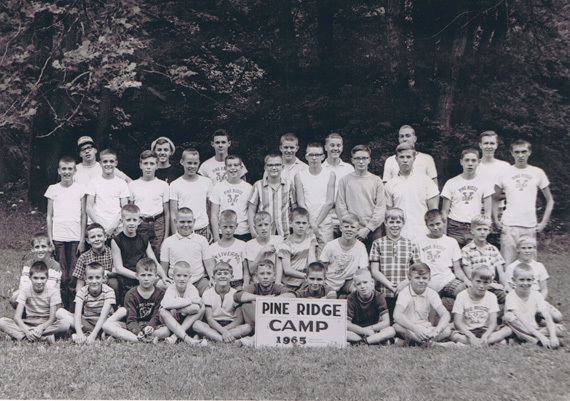 On the way to Pine Ridge Camp. 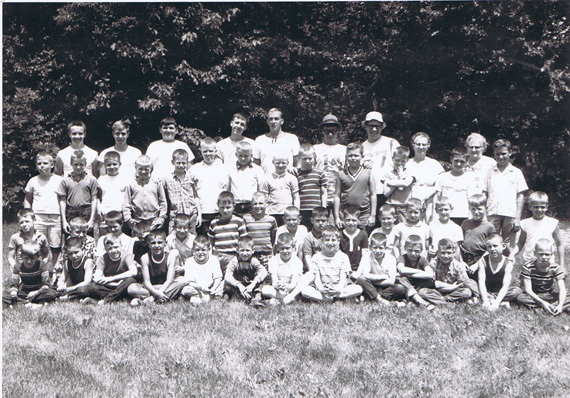 YMCA Camp Midgets June 29 - July 2, 1965. 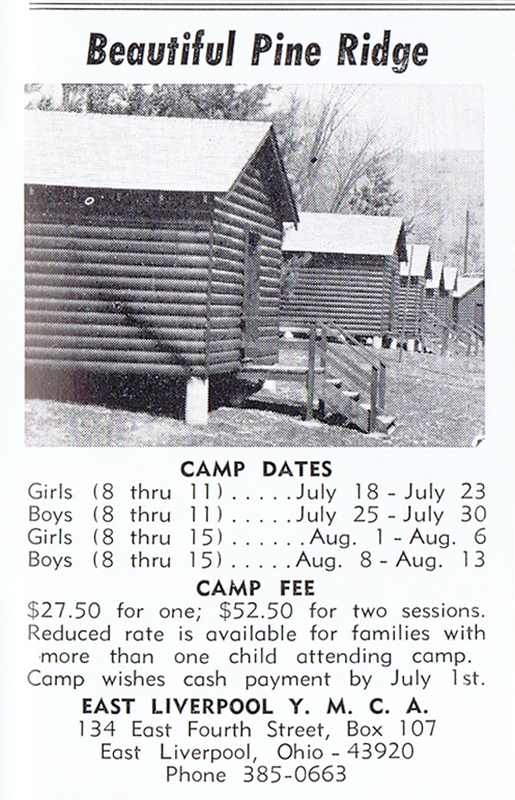 An ad for Pine Ridge Camp from the 1950's or 1960's from ELHS Keramos Yearbook. 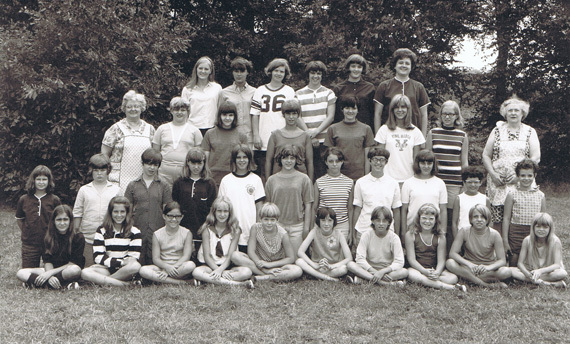 Yearbook borrowed from ELHS Alumni Association for expressed purpose to scan pictures for use on this web site.